with a perfect frame and head. 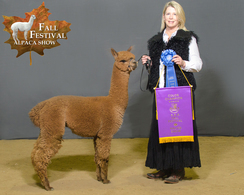 Haven earned her way into our foundation herd with her 1st two crias. They're extraordinary & confirm her place with our best. 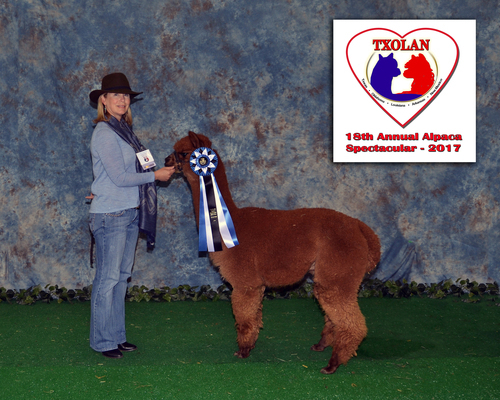 Xanadu P Descant was Reserve Color Champion at GWAS at 6 months and 4 days of age. 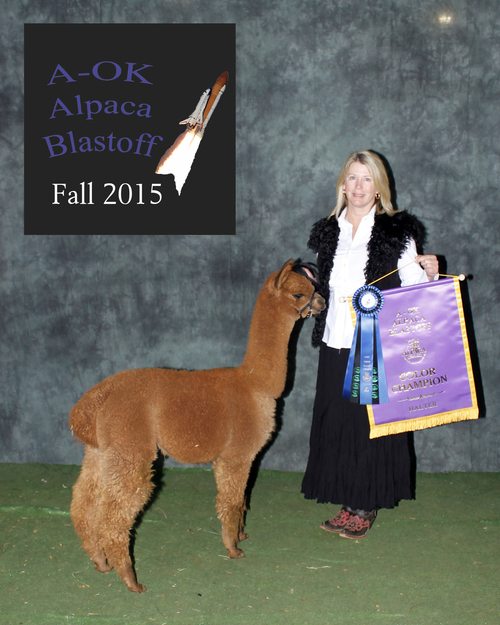 Showing as a yearling just days after his first birthday he was Color Champion at ABR Fall Fest and AOK Blastoff. 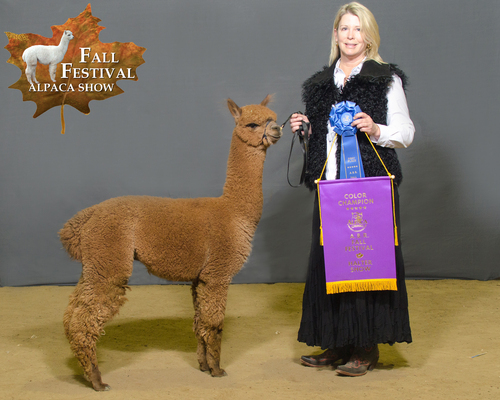 ABR Fall Fest Judge Ken Hibbits said of Descant: " I kept sorting back to him with that staple length, fineness, brightness, architecture, a superior fleece". 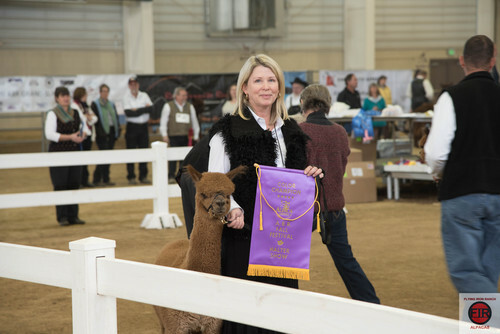 Descant was half the age of the Reserve Champion according to the Judge "the fleece did it". 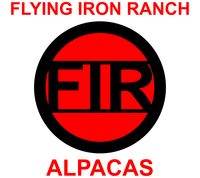 Descant's has three 2018 cria on the ground at Flying Iron Ranch. 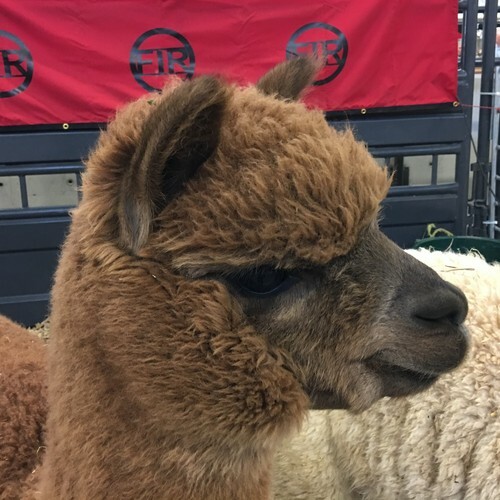 Descant's Debutante is a light brown female, Teddy Rose out of our Matrix Rose daughter Amber Rose and AJ out of our first Amber Rose cria Victory Lap. Thay are all showing Descant's superior fleece characteristics. All have made our 2019 show string.